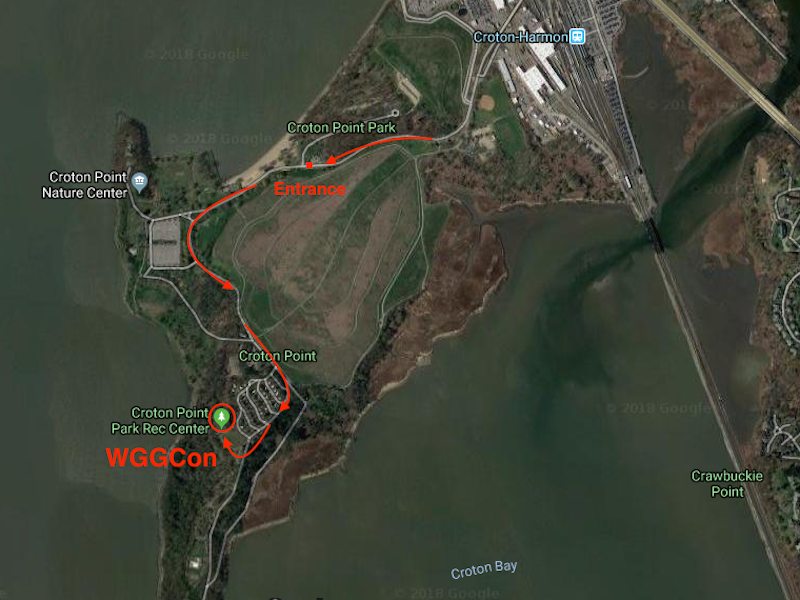 The tenth annual WGGCon starts Friday, August 31! We’re expecting a fantastic turnout all weekend long, so please RSVP on Facebook or Meetup (or both). We start Friday at 2:00pm and run around the clock until Monday morning. 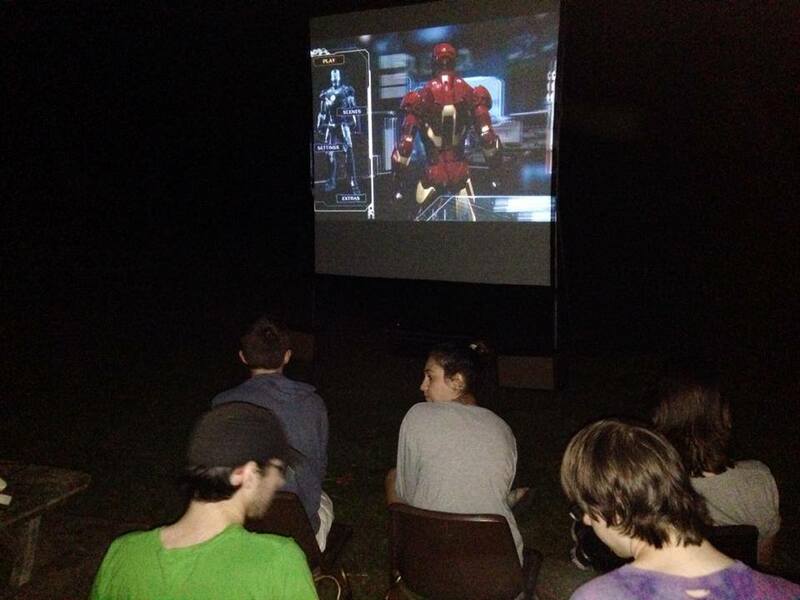 We’re once again at the Croton Point Park Rec Hall with extra gaming space available in an enclosed tent. We start Friday at 2:00pm and run around the clock until Monday morning. We have to clean up and be out of the Rec Hall by 11:00am on Monday so there won’t be any activity on Monday, but we can game as late as we want on Sunday. Our world-famous BBQ is on Saturday at 5:00pm. Vegetarian options will be available. We will also provide soda/water and snacks during the entire con, and this year we’ll have a hot dog cart on Friday evening. Feel free to bring anything you don’t mind sharing, but you’ll need to provide your own cooler for anything that needs to be kept cold. You’re also welcome to bring your families even if they’re not gamers. Plenty of people will be bringing their children to enjoy the park, but kids under 16 years of age must be accompanied by an adult. Please bring games to play and share. 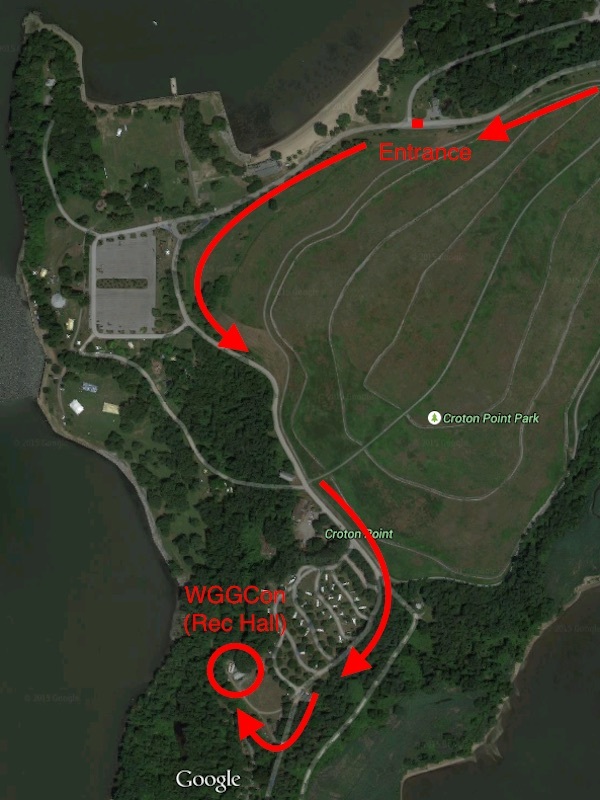 WGGCon is all about pickup games; so, if you want to play a particular game, please bring it! Follow this Facebook post to Arrange a Game™. 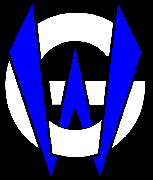 3rd Universe is a WGGCon co-sponsor and hosts gaming throughout the week in Croton. They will be onsite to sell the latest games. For those who pre-ordered WGGCon t-shirts, Elliot will have those available all weekend. Please wear your shirt for the group photo on Saturday at 4:45pm. 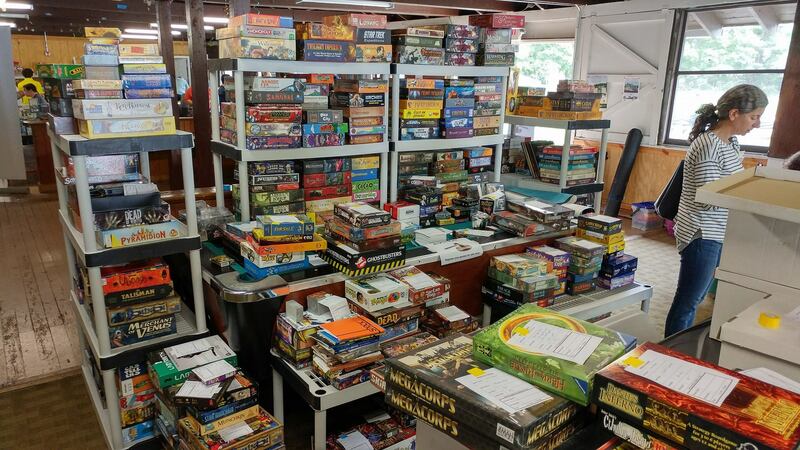 Our wildly successful game auction is held on Saturday at 6:30pm (after the BBQ). Please bring any games you’d like to sell. You can download and print the auction form to fill out beforehand or copies will be available onsite. 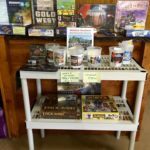 The fee is a flat $2 per item and goes toward paying for WGGCon. Buyers may pay cash or credit card (3% fee). 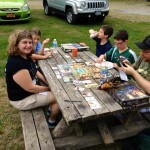 Dr. Finn’s Games is a WGGCon co-sponsor. 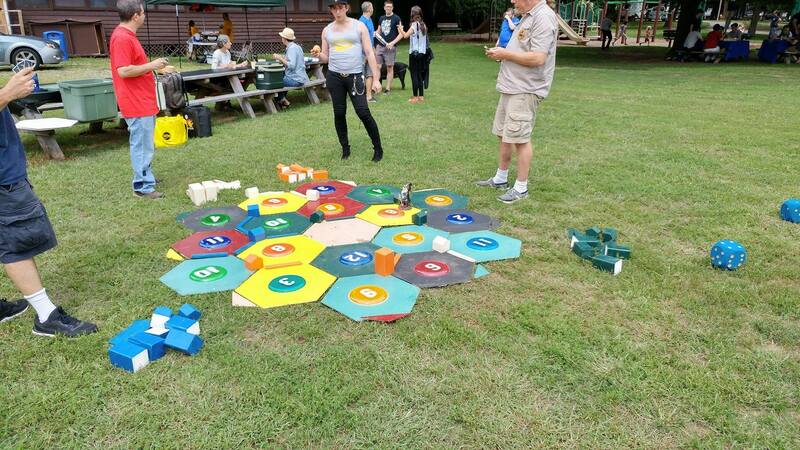 Game designer Steve Finn has had multiple successful Kickstarter campaigns and will host a contest and demo his games on Saturday. 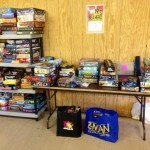 Steve will also be offering his games at steeply discounted prices at WGGCon. Contact him at doctorfinns@gmail.com for more info. 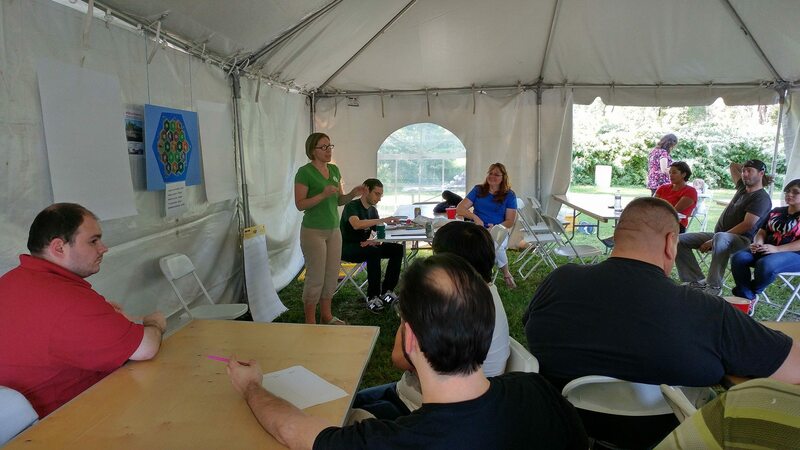 Westchester Geeks will be hosting trivia on Sunday at 2:00pm. Questions will cover both gaming and general geekery. Come test your wits against your fellow geeks and win prizes! 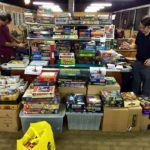 WGGCon is paid for entirely with donations. 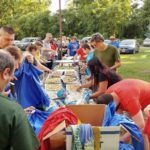 Our costs have increased due to renting the tent, higher park fees and buying more and more food and snacks, but we have faith that our supporters will come through as they have every year. 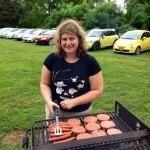 Our suggested donation is $5-15 per person per day plus $10 for those who join the Saturday BBQ. We don’t have a firm amount because we’d like people to base their donation on how long they spend with us and how much food/snacks/drinks they consume. If you’re only stopping in one day for a couple hours, feel free to pay $5. If you’re with us around the clock and eat voraciously, then please adjust your donation accordingly. 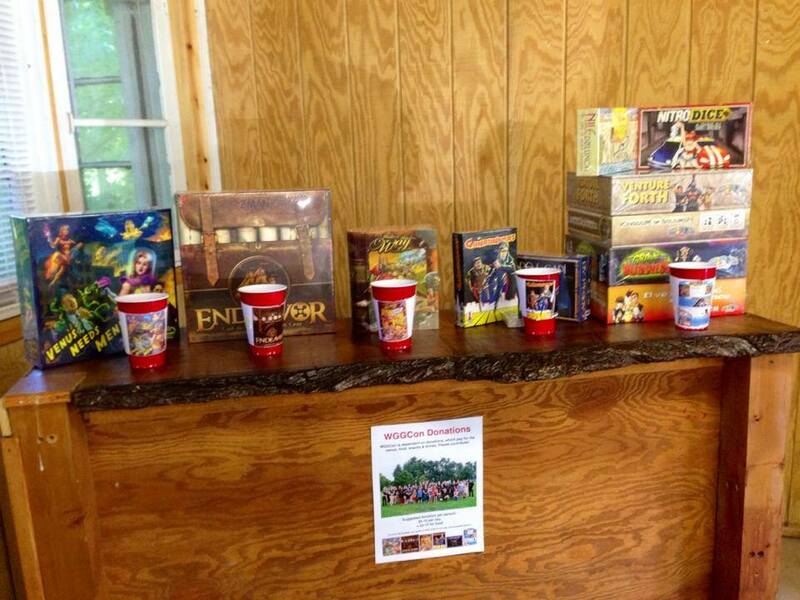 As a thank you for those who donate, we have some fantastic games for our raffle. We’re not selling tickets, but you get a free ticket for every $5 you donate for food and the venue as per above. The games are brand new and shrink wrapped. We’ll draw names Sunday at 6:30pm for each of the five lots; you don’t need to be present to win. 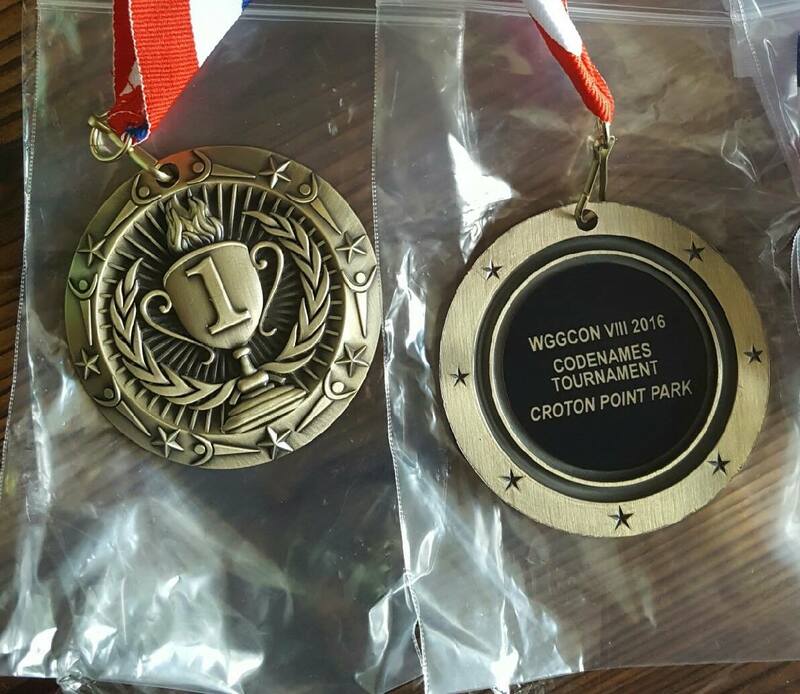 And this year, all those who donate $20 or more will receive a special commemorative WGGCon d10! Thanks and see you soon at WGGCon! 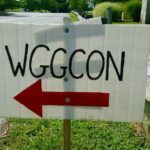 The ninth annual WGGCon starts Friday, September 1! 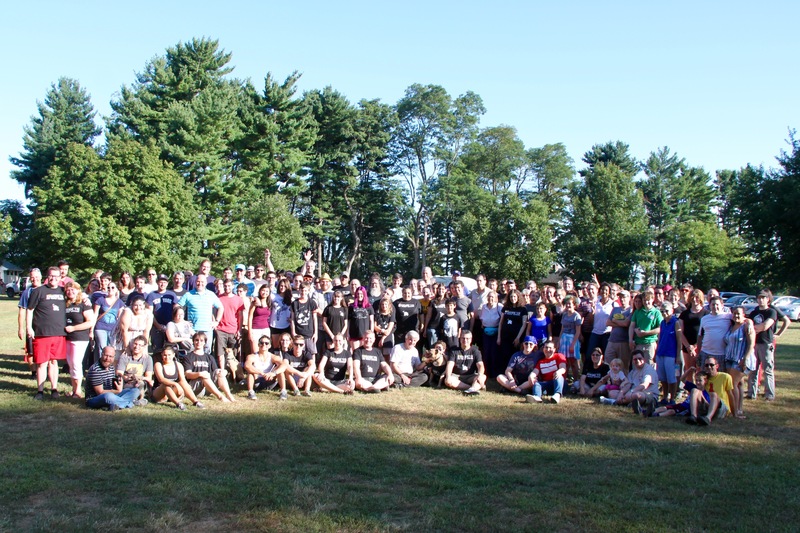 We’re expecting a fantastic turnout all weekend long, so please RSVP on Facebook or Meetup (or both). We start Friday at 2:00pm and run around the clock until Monday morning. Our world-famous BBQ is on Saturday at 5:00pm. Vegetarian options will be available. We will also be providing soda/water and snacks during the entire con but feel free to bring anything you don’t mind sharing. 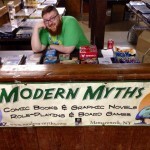 Modern Myths is a WGGCon co-sponsor and hosts boardgaming every Saturday evening. They will be onsite to sell the latest games. 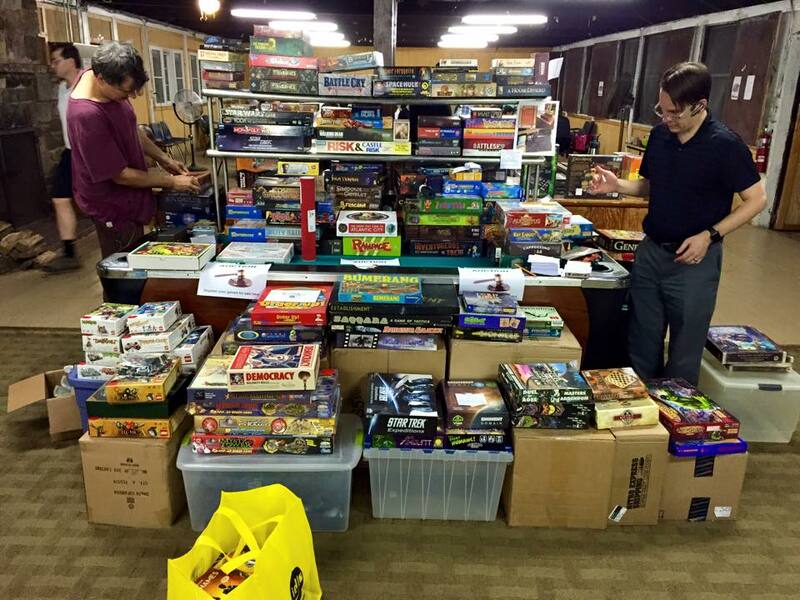 Our wildly successful game auction is held on Saturday at 6:30pm (after the BBQ). Please bring any games you’d like to sell. You can download and print the auction form to fill out beforehand or copies will be available onsite. 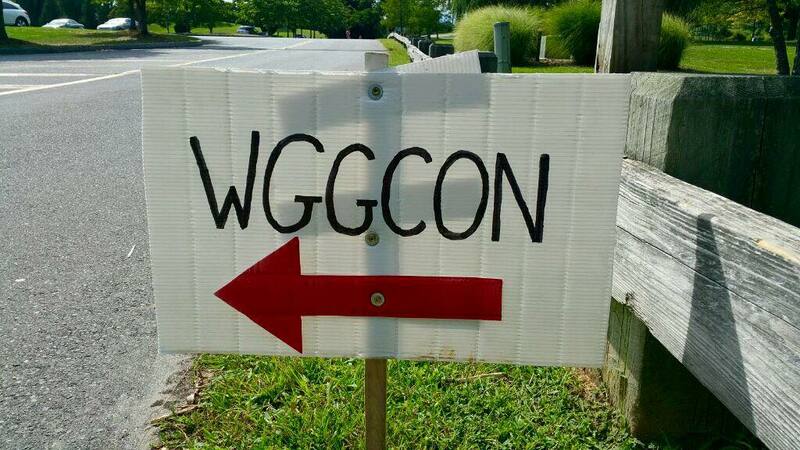 The fee of 10% (with a minimum of $1 per item) goes toward paying for WGGCon. Buyers may pay cash or credit card (3% fee). 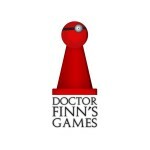 Dr. Finn’s Games is a WGGCon co-sponsor. 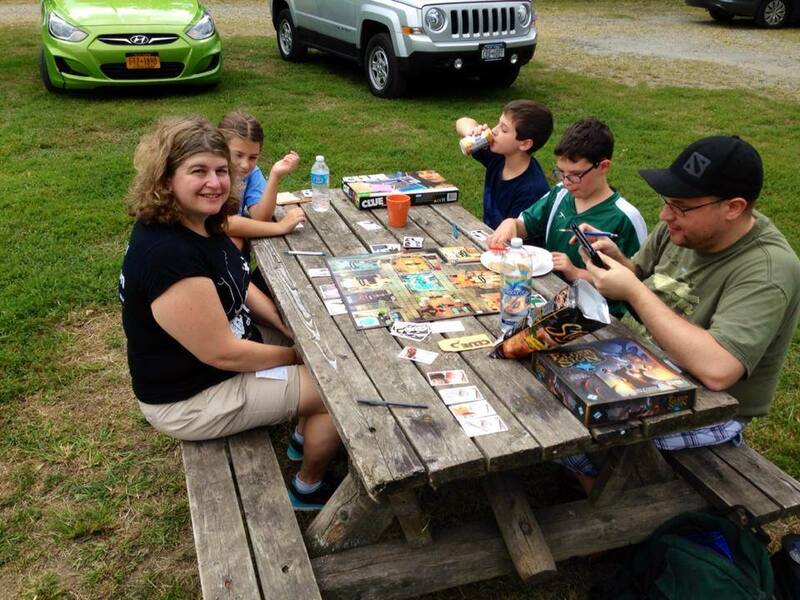 Game designer Steve Finn is a frequent participant in WGG game nights and has had multiple successful Kickstarter campaigns. He will host a contest and demo his games on Saturday from noon through 8:00pm. Prizes will include games and t-shirts. 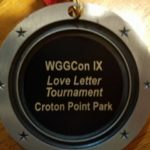 Jimmy T will host a Love Letter tournament starting Sunday at 2:00pm. 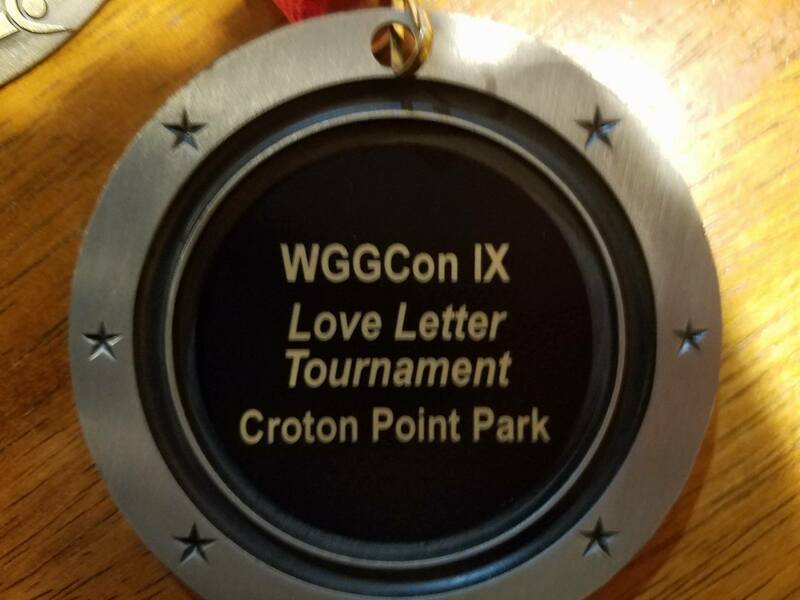 Compete to win copies of Love Letter and spiffy medals (donated by Jimmy)! 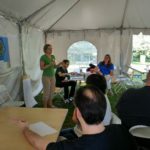 Westchester Geeks will be hosting trivia on Sunday at 4:00pm. Questions will cover both gaming and general geekery. 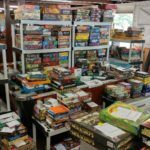 Prizes include the following new, shrink wrapped games: Foreclosed!, 6 nimmt!, Nile Deluxor, Nitro Dice, Grave Business and Five Fingered Severance. Come test your wits against your fellow geeks! 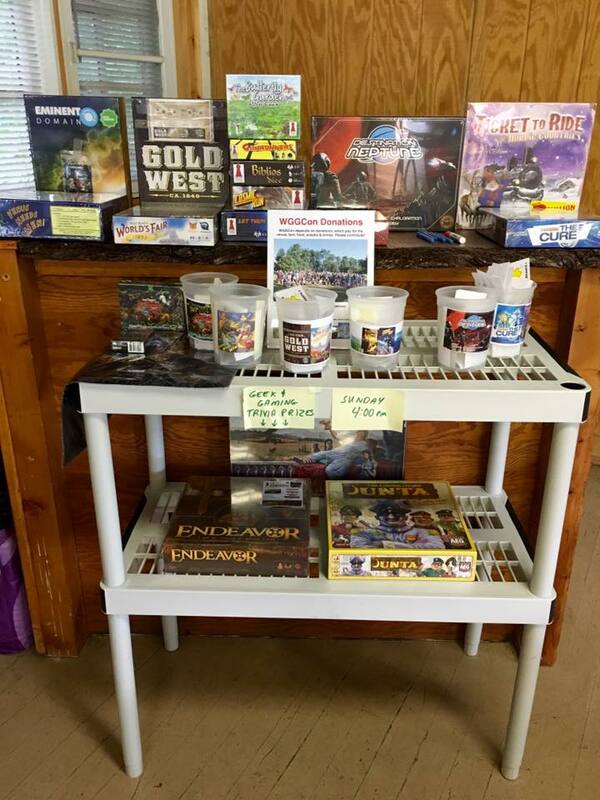 As a thank you for those who donate, John Velonis, Bryan Deyo from 3rd Universe, Diane Sauer from Shoot Again Games and Paul Gerardi contributed some fantastic games for our raffle. We’re not selling tickets, but you get a free ticket for every $5 you donate for food and the venue as per above. The games are brand new and shrink wrapped. We’ll draw names Sunday at 6:30pm for each of the six lots; you don’t need to be present to win. 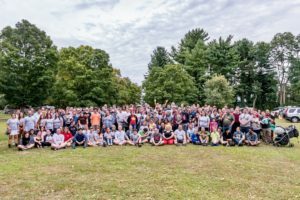 The eighth annual WGGCon starts Friday, September 2! 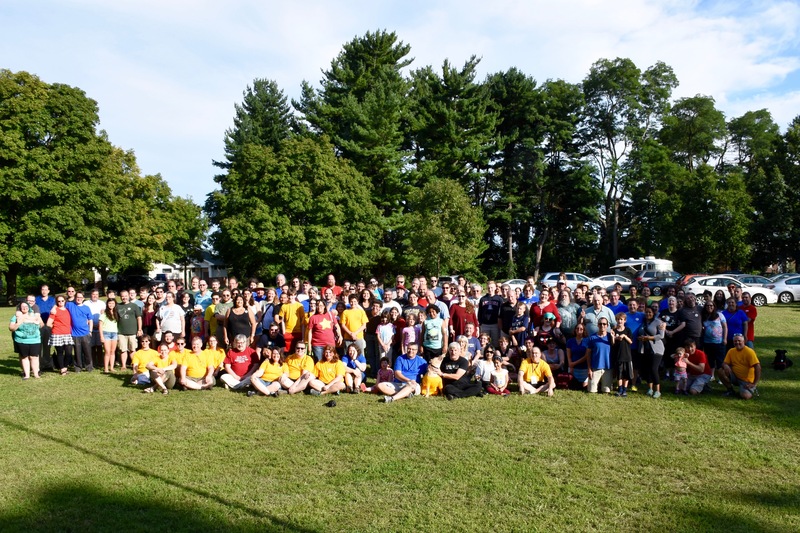 We’re expecting a fantastic turnout all weekend long, so please RSVP on Facebook or Meetup (or both). We start Friday at 2:00pm and run around the clock until Monday morning. 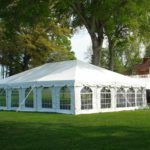 We’re once again at the Croton Point Park Rec Hall, and this year we’ve added an enclosed tent with lighting for additional gaming space. 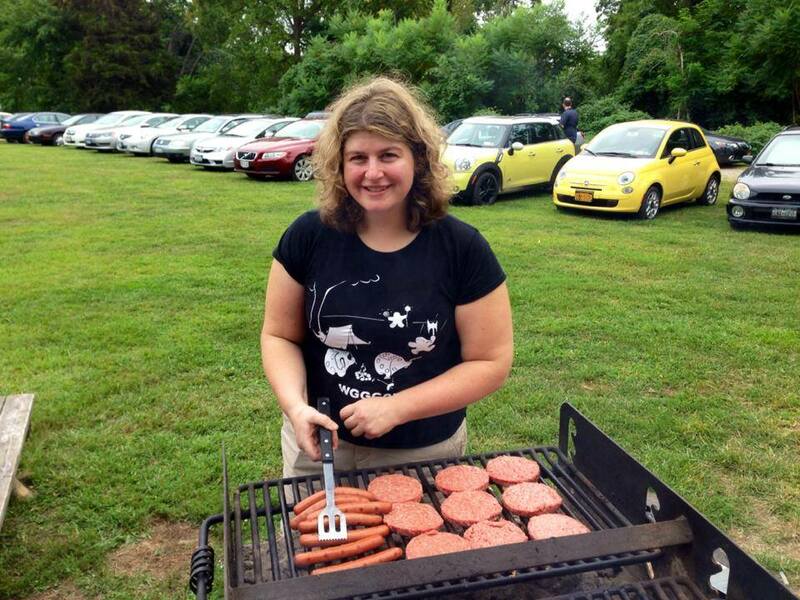 Our world-famous BBQ is on Saturday at 5:00pm. We will also be providing soda/water and snacks during the entire con but feel free to bring anything you don’t mind sharing. If you’d like to volunteer for a 2-hour time slot to help keep our venue tidy, please see this Facebook post. 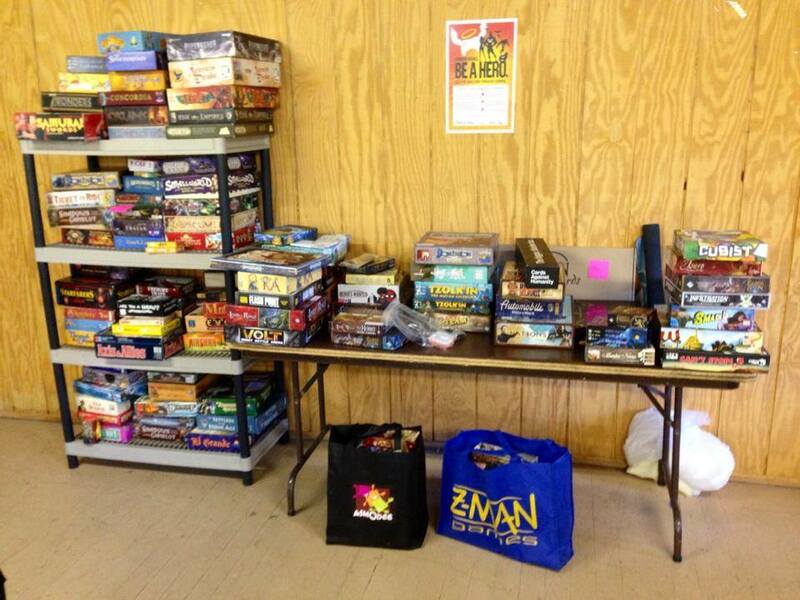 Our wildly successful game auction is held on Saturday at 6:30pm (after the BBQ). Please bring any games you’d like to sell. You can download and print the auction form to fill out beforehand or copies will be available to fill out on-site. 10% of the proceeds go toward paying for WGGCon. Buyers may pay cash or credit card (3% fee). 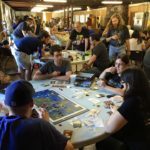 Dr. Finn’s Games is a WGGCon co-sponsor. 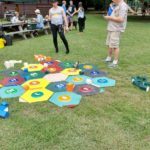 Its owner, Steve Finn, is a frequent participant in WGG game nights and has had multiple successful Kickstarter campaigns. 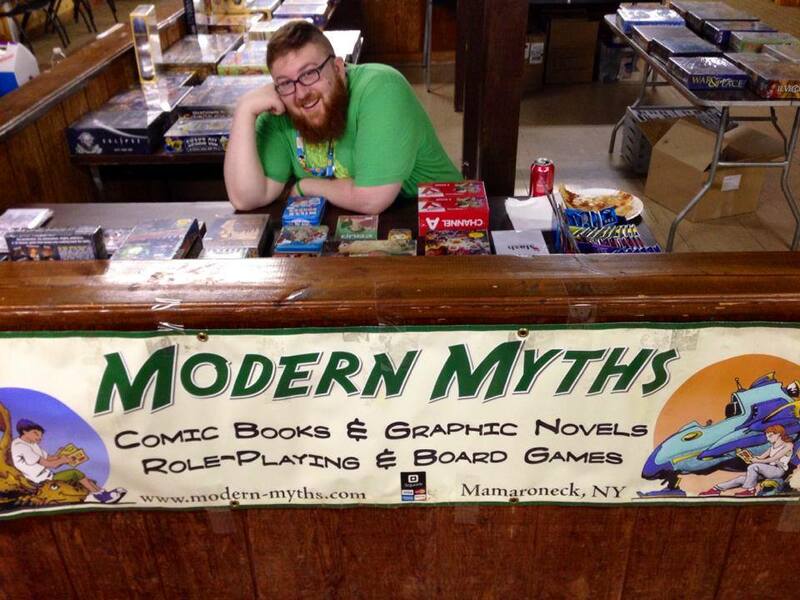 He will host a contest and demo his games on Saturday from noon through 8:00pm. Prizes will include games and t-shirts. Jimmy T will be hosting a Codenames tournament starting Sunday at 2:00pm. 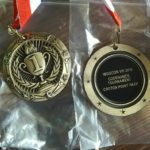 Teams of two will compete to win copies of Codenames and spiffy medals. Which spymasters will reign supreme? 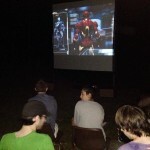 Westchester Geeks will be hosting trivia on Sunday at 4:00pm. Questions will cover both gaming and general geekery. 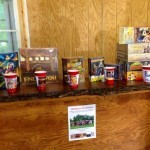 Prizes include Endeavor, Junta and Gloria Mundi (all new and shrink wrapped; donated by 3rd Universe, Jimmy T and Lori Colman). 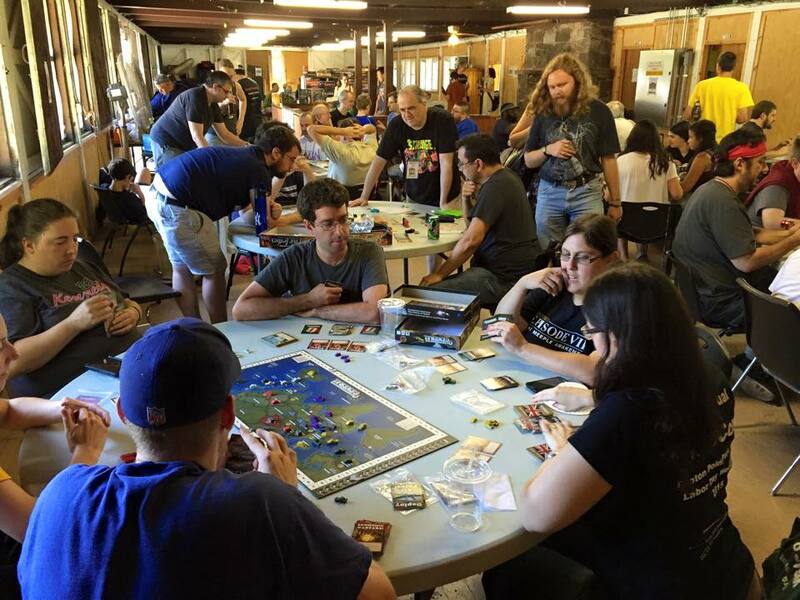 Come test your wits against your fellow geeks! 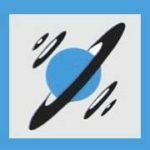 WGGCon is paid for entirely with donations. 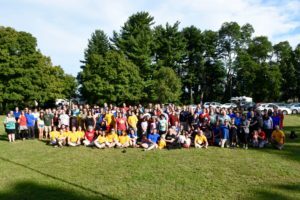 This year’s costs have significantly increased due to higher park fees and renting the tent, but we have faith that our supporters will come through as they have every year. 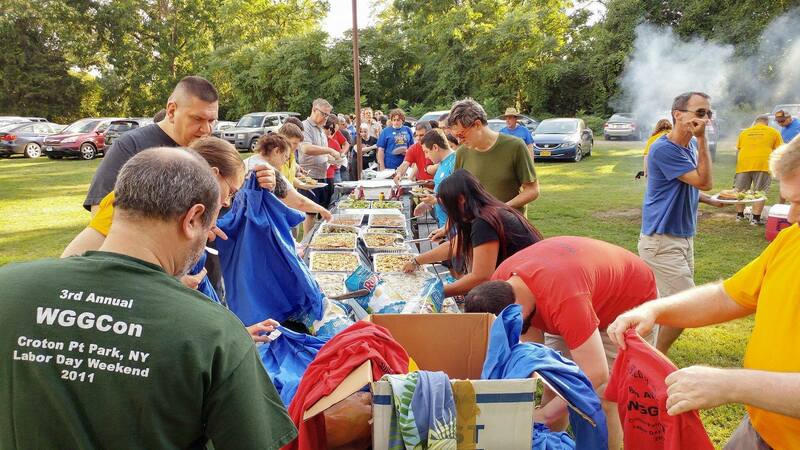 Our suggested donation is $5-15 per person per day plus $10 for those who join the Saturday BBQ. We don’t have a firm amount, because we’d like people to base their donation on how long they spend with us and how much food/snacks/drinks they consume. If you’re only stopping in one day for a couple hours, feel free to pay $5. If you’re with us around the clock and eat voraciously, then please adjust your donation accordingly. 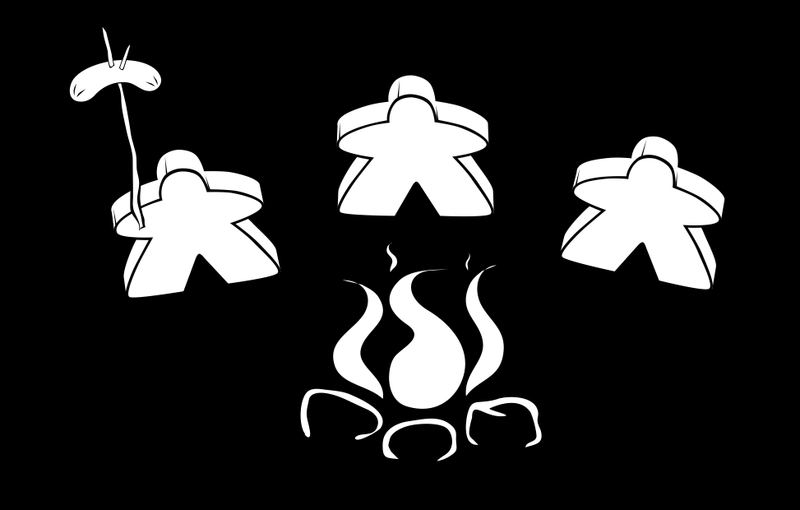 As a thank you for those who donate, the following game designers have contributed some fantastic games for our raffle: John Velonis, Steve Finn of Dr. Finn’s Games, Isaac Shalev of Kind Fortress, Alex Kevern, and Ian Brody of Griggling Games. We’re not selling tickets, but you get a free ticket for every $5 you donate for food and the venue as per above. The games are brand new and shrink wrapped. We’ll draw names Sunday at 6:30pm for each of the six lots; you don’t need to be present to win. If you’d like to list your group here, please email Alec. 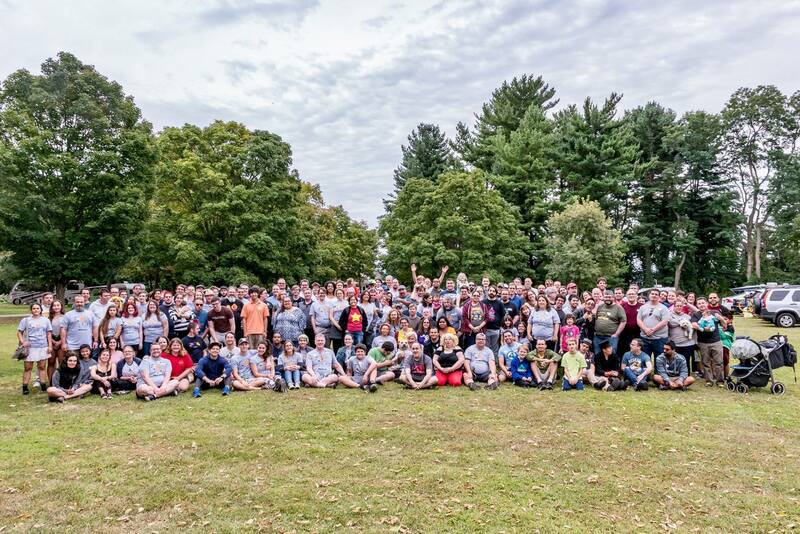 The WGGCon page has been updated — including with group photos from every year. Hi everyone. I just installed the Disqus plug-in for WordPress. It adds a more powerful comment system and integrates the site with social media sites such as Facebook and Twitter. In addition to the new comment system, Disqus adds a ‘Like’ button to the bottom of pages on our site which will allow you to let people on facebook and Twitter know when you like a page on our site. If anybody has any issues with the functionality of Disqus on our site, please let me know immediately. Thanks! Our new web site is live. What do you think?